Sergej started his career from SAP Dublin IT Infrastructure Support role moving later to Finance and Controlling Business Applications Support position, eventually becoming a senior team member. 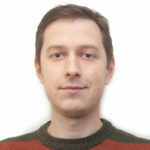 Later, in 2012, Sergej moved to SAP Research Belfast to complete a one-year internship where he contributed to the Bonfire FP7 project as a Python developer. Further from 2013 to 2016, Sergej was involved in research and development of simulation toolkit for CACTOS FP7 project as PhD candidate being part of the Modelling and Simulation Group, in Dublin City University Business School. Currently, Sergej is working as a Research Assistant in IC4 and finishing up his PhD thesis in the area of Cloud Computing Resource Management. His main research interests are in Cloud Computing, Discrete Event Simulation and Software Engineering.